A VPN router offers a more robust, secure, and consistent experience compared to standard customer grade routers. A VPN router appears almost identical to a normal router. The difference is that the VPN router has VPN client software installed. As a result, each device that connects to the VPN router is protected by the VPN. Devices that have VPN software installed on them receive encryption protection only on that device. A VPN network router, on the other hand, is able to simultaneously protect multiple devices on the same network. These could be tablets, smartphones, computers, etc. With one connection, a VPN router is able to encrypt all of the devices on the network from one source with just one connection. VPN routers are specifically designed to allow the network communications in a VPN environment. They enable communications and connections between a number of VPN end devices that are usually located in separate locations. Similar to a standard router, a VPN router makes possible core packet routing and network communication services. The only difference is that this happens within the VPN environment. It makes it possible to share and provide connectivity of the virtual private network to a number of different end devices. Portable VPN routers can be configured and installed at any place that has an Internet connection. Users can connect to the router via a wireless network, a wired LAN, or serial interfaces. A VPN router may use one or multiple network/tunneling protocols, which allow it to manage and create communication inside VPN tunnels. Before we go too much further, we need to clarify one point. There are VPN services that you can install on your regular router. When installed, these services allow you to share your VPN with whatever devices are connected to it. On the other hand, there are routers that are specifically designed for VPNs. Whether you are a savvy VPN user or you are a novice, purchasing a pre-flashed VPN router could be beneficial for you. If you do this, you will not have to go through the complicated process of flashing the correct firmware to your VPN. The firmware that you will need will vary based on the type of router you have and its specifications. You should expect to pay a little bit more for a pre-installed VPN router. This is because the companies that sell pre-flashed routers will handle the installation for you. These routers usually come with the features you will need, like encrypted plug-and-play and other performance enhancements. Many feel that the extra price they pay for these is worth it. VPN compatible routers usually function using the OpenVPN protocol. As a result, you should be able to use just about any VPN provider you want with these. Since these routers have built in VPN capabilities, it is not necessary to flash new firmware, nor is it necessary to connect this type of router to a secondary router. For the sake of argument, we are going to assume that you are using the best VPN on the market. If that’s the case, you need to look at your router’s CPU and determine how it is affecting the router’s speed. A common complaint about consumer grade processors and routers is that they don’t have enough power to properly handle encryption with VPN. Thankfully, as VPNs are becoming more common, newer routers on the market are addressing this issue. Sabai Technology, who offers routers that we’re going to discuss a little bit later in this review, is addressing this power issue with their proprietary VPN accelerator. Some processors come equipped with AES – NI. This technology makes VPN encryption speeds faster. Many have noted that this makes a major difference in the performance of VPN routers. Asus, a company with routers we will discuss later on in this review, has a couple of routers, the GT-AC5300 and the RT-AC86U, that benefit from this technology. Your router should have a CPU with a minimum of 800 MHz. The more, the better. Do not confuse the wireless signal with the power of your CPU. Both of these are expressed in Hz. Once you have selected a router, you will need to find a VPN provider. 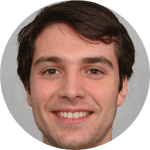 A little bit further in this guide we will discuss some of our best picks. For the sake of this explanation, we are going to use ExpressVPN. The process is going to vary a little bit, depending on the VPN service that you use. Go to the set up page and click “Router”. You will see an activation code. Copy the activation code, and store it in a different document. You are going to need this later. Select the router model you have to download the appropriate firmware. Once you have the firmware downloaded, it is time to connect your router. The set-up is going to be different, depending on the model router you are using. In the majority of cases, it’s recommended that you have two routers and an Internet connection. First, configure your primary router to allow VPN pass-through. When you do this, you’re letting any device that you connect to your primary router to run your VPN client software. Connect an Ethernet cable to the LAN port of your primary router. Plug the other end of the Ethernet cable into the WAN port of your VPN router. Connect another Ethernet cable to the LAN port of your VPN router to your computer’s LAN port. 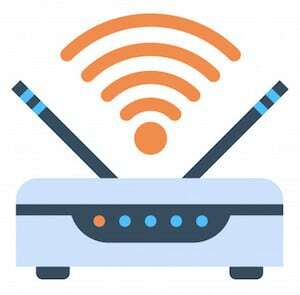 If you’re using a wireless connection, then your VPN router will connect wirelessly to your end devices. With both a wired and a wireless connection, your VPN router is using your primary router’s Internet connection to connect to the Internet. It’s important to note that while in this example we are recommending the use of two routers, this is not always required. For example, there are Linksys routers that are designed to be the sole primary router. Now that you have your routers connected, you may need to go through the process of flashing your router. The process is going to vary based on the model and brand of router that you use. If you are accustomed to using a free browser VPN, making the leap to purchasing a VPN router might seem like a big step. However, for individuals who are serious about their privacy and who want a secure browsing experience, the extra cost and time to set up is worth it. While the steps we’ve mentioned above were specific to using ExpressVPN on your router, the process is much the same regardless of the VPN service you use. The key is to be thorough, follow each step the VPN service provides closely, and your VPN should be up in no time. Now that we’ve discussed a little bit about setting up your VPN router, we would like to dedicate a little bit of time to reviewing what we feel are the best VPN services available. The ones that we will discuss have a paid subscription service. You may find a free VPN service to install on a single device, but there are very few free VPNs that offer router services. NordVPN has been around for quite some time and they’re very popular for obvious reasons. With NordVPN, you get unlimited P2P sharing, DNS leak blocker, a kill switch and a 30-day money back guarantee. What’s more, they use military-grade encryption and provide their users with CyberSec which automatically blocks things like malware so that you won’t have to worry about cyber threats while torrenting or streaming blocked content. CyberSec also protects against DDoS (Distributed Denial of Service) attacks. A DDoS attack is a kind of attack where multiple compromised systems are used to target one system in particular, your system. CyberSec shields you from such an attack. Not so long ago, NordVPN had a reputation for providing excellent security but at fairly average transfer rates. While their speed does not yet match the industry leader for that metric, they have certainly improved their game. Below are results from Europe with a benchmark download speed of 104 Mbps. Users can have up to six connections going simultaneously, and they have apps for iOS, Mac, Windows and Android devices. Online tutorials are available. These include instructions for using NordVPN with routers, RaspberryPi and a variety of mobile operating systems. NordVPN further is compatible with The Onion Router so that you can get even more identity protection for your browsing. 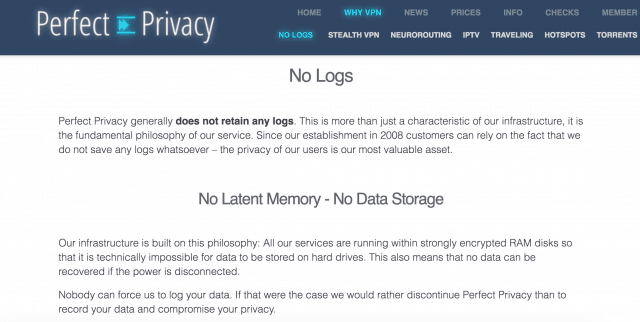 NordVPN excels is with their strict “no logging” policy. It states that from the moment a user signs on to the service, all of their web traffic is encrypted so that no one, not even their ISP, can spy on it. The policy goes on to point out that Panama has no laws regarding the reporting or storage of data. If law enforcement officials or another third party comes knocking, NordVPN is in no way obligated to share anything. NordVPN is one of the most advanced VPNs to offer a free trial. Their encryptions are concrete and their plans come without a data cap. They may be a bit pricier than other paid VPNs when it comes to their monthly plans, but they have a lot of plans to choose from that puts that rate as far down as $2.99 a month if you decide to stay with them. All these features, privacy, and speed coupled with 24/7 live chat support, you can practically guarantee geting an amazing experience from them. When you look at reviews for VPN services, you will often find ExpressVPN at the top or near the top. One reason for this is because ExpressVPN has built a reputation for being a VPN service that takes the privacy of its users seriously. They are committed to not keeping files like DNS queries, IP addresses, or metadata. There have been a few high profile cases where government institutions tried to get a hold of information about ExpressVPN customers by scouring their servers. However, since ExpressVPN does not keep personal information about their clients, these governmental entities were not able to find anything. When they connected to New York, they had download speeds of 60.04 Mbps and upload speeds of 30.41 Mbps. These results make ExpressVPN one of the fastest VPN services on the market. While a number of things may impact your internet speed, including the router you purchase, your Internet connection, and your computer specs. Our test proves that ExpressVPN can always deliver fast connection speeds. 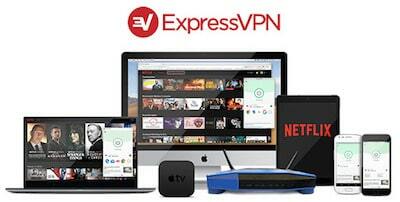 ExpressVPN supports a number of devices and operating systems, including Mac, Android, Windows, and iOS. There is a large and ever-growing number of routers that are supported by ExpressVPN. A major selling point for ExpressVPN is the location of the company. It is based out of the British Virgin Islands. This means that they are not required by their local government to surrender their server’s data. This adds an extra layer of protection for their clients. Couple this with the fact that they offer strong AES 256 using an OpenVPN platform and you can rest easy knowing that ExpressVPN will not be compromised anytime soon. The protection that VyprVPN offers goes beyond their encryption and security. Authoritative regimes, like those found in North Korean and China, have employed “Deep Packet Inspection”. This scans metadata looking for proof that a person is using a VPN. Once these authoritative regimes suspect that an individual is using a VPN, they will throttle a person’s Internet usage, making it impossible for them to use a VPN. Seeing the need to do something about this, VyprVPN introduced Chameleon. This is a proprietary technology that will scramble your metadata and allow you to use a VPN without triggering DPI scans. For individuals using VPNs in countries like Turkey, Russia, or China, this technology could literally mean the difference between life and death. VyprVPN states their primary mission on their website. It is simply to “protect your online privacy, secure your Internet connection, and restore your freedom”, and they do this by offering their service using OpenVPN protocol. All of your data is encrypted using AES 256 encryption key. These are the same standards that government institutions use, ranging from the NSA to the CIA to the FBI. However, as of the time of this writing, VyprVPN has completely revamped their policies. Now, we can confirm that they really do not keep their client’s logs. VyprVPN is fast. You can see that when you look at this example that has a baseline 98 Mbps download speed and a 53 Mbps upload speed. VyprVPN’s servers in the EU have been optimized to give users rapid download and rapid upload speeds. The same is not true of their servers in the United States or in other countries. Still, their commitment to security and privacy balance their less than stellar speeds. VyprVPN is hit and miss in this area. Their servers in the United States work amazingly. You’re able to stream without any problems. However, when you use their servers in the United Kingdom or Canada, you get blocked. Still, from our standpoint, it is a win because it is difficult to find a VPN that will work with Netflix at all. VyprVPN is available on a number of devices, including your router. Perfect Privacy uses strong encryption protocols, including 256 bit encryption and OpenVPN protocols. This is the right option for you if you’re the type of person who is concerned about password managers, government monitoring, and keeping your Internet browsing private. Perfect Privacy is a software that’s focused more on privacy than getting around geo restrictions. We did find that depending on the server one connected to, they could get around Netflix’s black screen of death. However, a good number of the servers we tested were blocked by Netflix. If you’re looking for a service purely to get around geo restrictions, this may not be the service for you. You would think that most VPN providers would create an easy to use application. We were surprised at how complicated some of VPNs are to use. Perfect Privacy is just the opposite. They exemplify simplicity. If you have any questions, you can contact their customer support via email, discuss issues on their forum, as well as review of their FAQ section. One downside is that they do not have live chat available. As you can see in the following speed test, the benchmark speed was 98.71 Mbps for download and 53 Mbps upload speed. They’re not horrible, but they’re definitely not something to write home about in terms of speed. Perfect Privacy offers a number of tutorials that you can use on how to set their service up with your router. They allow you to connect unlimited devices with just one subscription. This is something that is almost unheard of. Additionally, you are able to pay anonymously using cryptocurrencies. But this is what you would expect from a VPN that focuses on giving their users the most private experience possible. Sabai Technology VPN router is designed to be user-friendly and has the features you want from a VPN. Sabai bases its operating system firmware on Tomato. However, their operating system offers a lot more features and has regular updates. Something we feel you are going to enjoy when using Sabai OS is the gateway feature. This feature makes it possible for you to selectively route all the devices that connect to your network. This means that you can determine if you want the computer in your office to route through your VPN while keeping the iPad your children use connected via an unencrypted connection. The kill switch feature is another plus. If a particular gateway drops, let’s say the VPN connection on your router to the VPN server, all of the devices that are assigned to the VPN router will be blocked. This keeps you safe and prevents IP leaks. Sabai VPN Accelerator can help speed up your VPN connection. This technology is a mini PC that connects to your router. It becomes responsible for all of the encryption for the VPN. This means that you will not experience a drop in connection speed when you are using the VPN. 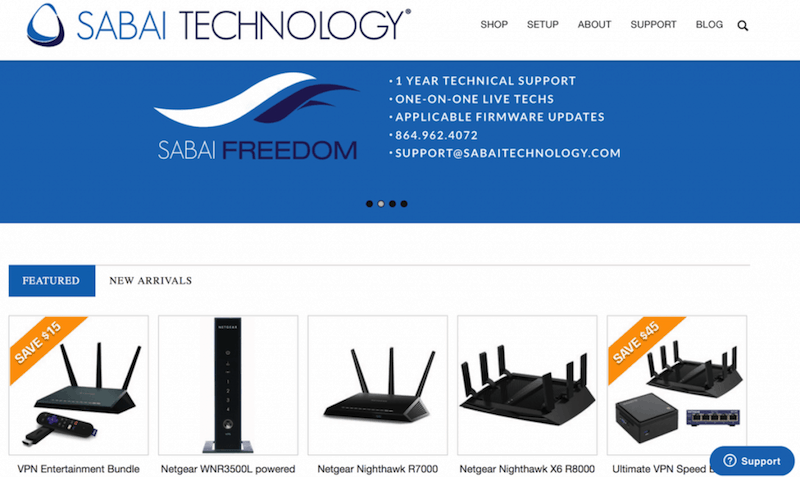 Sabai has done a great job of making it easy to configure their routers. If you have any questions, you can speak to their in-house technicians. This is nice because you’re not communicating with third-party support but with individuals who work with this router on a daily basis. As far as security is concerned, Sabai OS firmware is constantly being improved. There are regular security updates. Flashrouters is a company that’s based in the United States. They have created a unique niche in that they sell routers that are pre-flashed with DD – WRT or Tomato firmware. FlashRouters work close with different VPN providers. This means that regardless of the VPN you have, it’s likely that the routers they offer will work. FlashRouters offers plug-and-play routers that work straight out-of-the-box with VPNs. 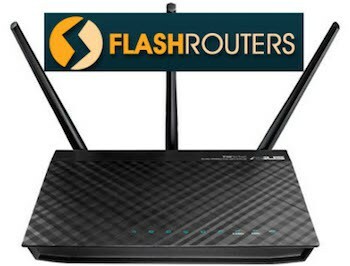 FlashRouters sell between 15 and 20 different types of routers. They work with the leading manufacturers, including Netgear, Linksys, and Asus. They offer models that are on the low end, such as the Linksys WRT1200, as well as powerful routers, including the ASUS RT-AC5300. The routers from FlashRouters are always pre-flashed. Since this voids the manufacturer’s warranty, they replace the manufacturer’s warranty with their own that has an initial duration of 90 days but can be extended up to two years. All of their routers come with FlashRouters VPN app free of charge. Asus VPN routers come in a wide variety, ranging from high-end to less expensive models. Asus is creating newer models that handle the P encryption very well. 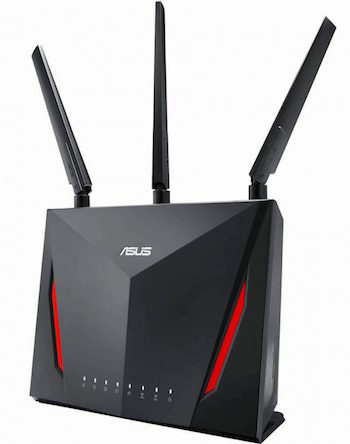 Some reports show that their newer model, the new Asus RT-AC86U, can handle speeds in excess of 150 Mbps using OpenVPN. Q: How do I put a VPN on my router? Open an account with the VPN provider. Follow the provider’s directions on preparing your router for the VPN. 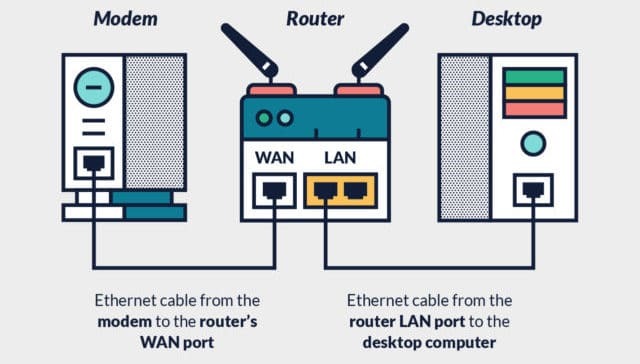 Once the router has been prepared, follow the router’s manufacturer’s directions for connecting the router to your network. Q: What is a VPN router? A: A VPN router is a router that has a VPN installed directly on it. All connections to VPN servers are handled by the router. This is different than VPN clients, which are installed on individual devices. The router protects every device on the network, preventing the need to install client software on each device. Q: Do I need a router for a VPN? A: The answer that question depends on what you want from your Internet browsing. If you’re concerned about privacy, if you would like to get around Geo restriction, and you have multiple devices you would like to connect to a VPN then a VPN router may be the right option for your needs. Q: How does a VPN router work? A: A VPN connection is designed to encrypt an individual device. A VPN network router is designed to protect multiple devices at the same time. It offers the convenience of being able to encrypt a number of devices from one source and using just one connection. Q: Do all routers support VPN? A: No. VPNs can only be installed on routers that have a firmware capable of handling VPN connections. Not every router can be configured to be a VPN router. We hope you have enjoyed our VPN router guide. VPN routers offer the benefit of protecting every device connected to the router. This includes devices that are unable to run VPNs on their own, including smart TVs and game consoles. A VPN router is seen as just one connection by your provider. As a result, you’re able to connect as many devices as you want to the VPN via the VPN router. We would love to hear from you. Are you currently using a VPN router? Is there one you would recommend that we have not discussed? Let us know in the comments section below!